We’re slowly gearing up for the 61st Grammy Awards on Sunday, Feb. 10, where anyone who’s anyone in the music industry will be celebrating. Between the red carpet, stellar performances, and announcing of the winners, the entire night seems like it’s going to be one big, non-stop party, but what happens at the official Grammys afterparty? Did you even know that was a thing? Let me assure you that it is, and the only reason you didn’t know about it is because it’s exclusive as hell! Known as the Grammy Celebration, the afterparty sounds almost as good as the actual Grammy Awards itself, and will take place right after the 2019 Grammy Awards on Sunday, Feb. 10 at the Los Angeles Convention Center. 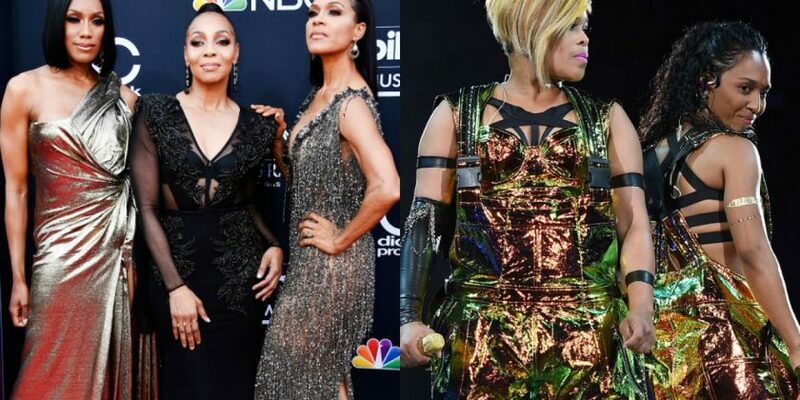 This year’s celebration will boast amazing musical performances by musical group En Vogue and four-time Grammy winners TLC, who will be headlining the Grammy Celebration. Both Kurt Elling and DJ Michelle Pesce are also slated to perform later on in the night. A handcrafted menu, you say? Well, that sounds all sorts of amazing, and now my interest has officially been piqued. With Executive Chef of Chicago’s Michelin-starred Spiaggia and Café Spiaggia Joe Flamm at the helm, there will be four Renaissance inspired food stations to complement 2019’s party theme of a French-inspired masquerade ball. And let me tell you, the menu definitely does the theme justice. I’ll take one of everything, please and thank you. So now that you’re probably salivating, let’s talk about the overall aesthetic for the Grammy Celebration. The Recording Academy oversees all of the entertainment, décor, and logistics for the 5,000-plus party guests (let that number sink in real quick). This year, the decor will evoke a modern masquerade ball theme and will incorporate "sophisticated yet mysterious elements of baroque and rococo décor, European cuisine, and an extravagant ambiance inspired by the Renaissance era," according to the press release. So yeah, pinkies all the way up, people. "Each year we diligently work to produce one of the largest awards show celebrations, and we’re thrilled to bring the annual event back to Los Angeles with a modern baroque-inspired theme to complement the elegance of the evening," said Branden Chapman, Executive in Charge of Production & Chief Business Development Officer of the Recording Academy. "We’re excited to create and share these moments once again with our guests at the 2019 Grammy Celebration." This event totally sounds like it’s going to be one for the books, so if you know a celeb with a spare ticket, now would be the perfect time to shoot them a text with your availability.